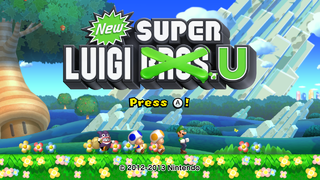 New Super Luigi Bros. U is the fourth-and-a-halfth installment in the New Super Mario Bros. series, released as DLC for New Super Mario Bros. U since, obviously, Nintendo didn't make enough money on this series yet. It was later released as a standalone game. At least Nintendo is self-aware about their recycling of content this time around. 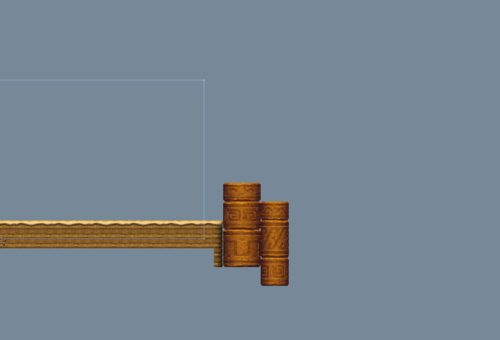 Some levels have blank tiles that show positions of the sprite platforms. 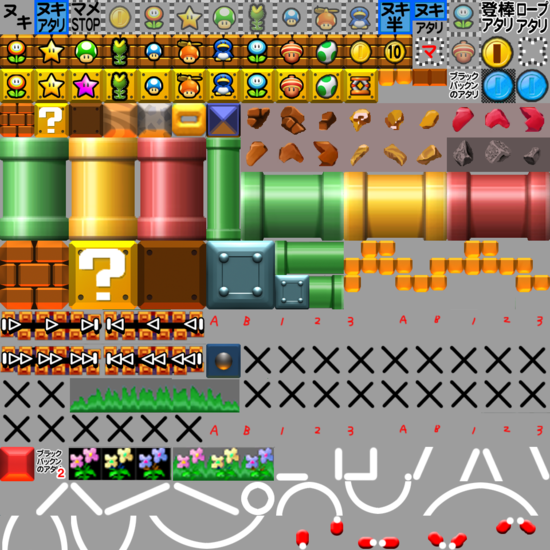 These may show early platform locations and may also exist in NSMBU. Unused location 0 in 5-1? 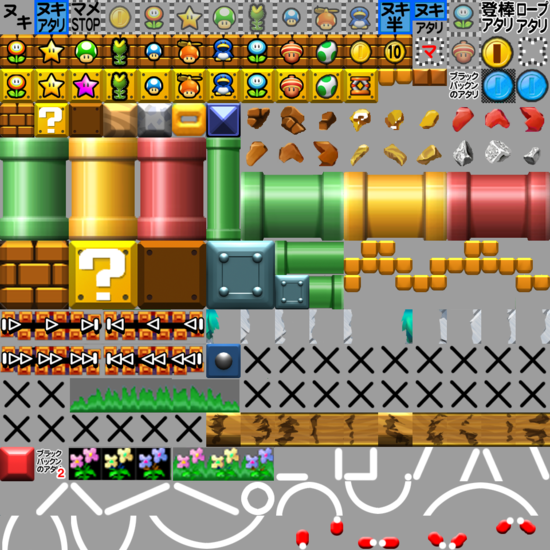 New Super Luigi U uses the same jyotyu tilesets as New Super Mario Bros. U, therefore it has the same exact unused features hidden in them. 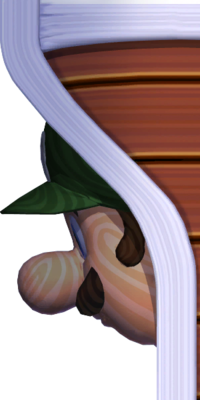 Hidden behind the Luigi figurehead at the beginning of 5-Airship ("All Aboard!") is a version rendered with different lighting. The early version includes much more pronounced shadows from the white boards, and has less light cast on Luigi's face overall. 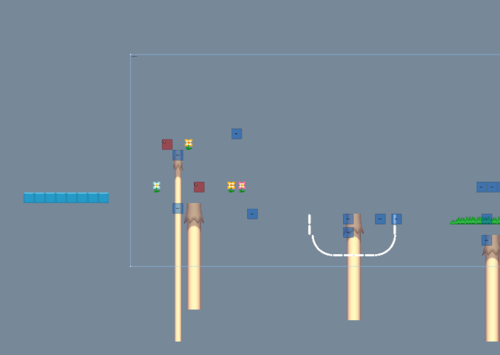 Right behind the flagpole zone in Layer-Cake Desert-2 are two impossible-to-see columns. Left of the starting point in Layer-Cake Desert-5 is a row of solid, invisible tiles, which you cannot touch. Behind the flagpole of Sparkling Waters-1 is an extra cabana hut, one which you, once again, cannot possibly see. Soda Jungle-6, Area 2 has an Object 0, Tileset 0 tile far off the level zone (how far you can see on the screenshot).  This tile... does nothing and is in fact only ever used to make blank tiles. 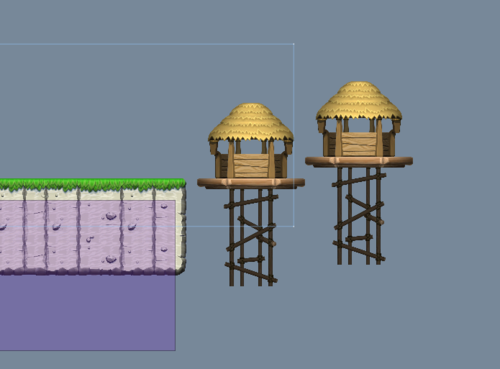 Soda Jungle-Castle has four instances of Object 0, Tileset 0 that the level designers apparently used to keep track of the size of each giant moving platform. Similarly to Layer-Cake Desert-6, there's a row of solid invisible tiles left of the starting point in Meringue Clouds-2. Peach Castle-4, Area 2 has a couple tiles far off the zone. The internal project name is RDash, as seen in the game's files (R is the first part of NSMBU's internal project name, and "dash" may refer to the fact that the game is a derivative of the original, much like the Japanese title of Street Fighter II: Champion Edition). This page was last modified on 23 July 2018, at 05:32.